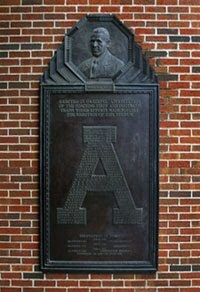 In 1937, after Alabama rolled undefeated through the regular season and finished ranked 4th in the country, the Crimson Tide earned their fifth invitation to play No. 2 California in the Rose Bowl. On Dec. 2, less than a week after the trip was announced, the Birmingham Chamber of Commerce began putting together a promotional magazine to tout the Yellowhammer State to the country at large. A Cheer for Alabama was rolling off the presses just two weeks later. The magazine consisted of photo collections and articles highlighting the industries and opportunities in Alabama during the late 1930s. It covered subjects such as the cotton and steel industry as well as the port facilities and railroad access. The state's historic and cultural highlights were given good coverage and there was even a section on Alabama Polytechnic Institute. According to the editors, "a carload" of the magazines was put on the train that left Birmingham on Dec. 25 carrying the Crimson Tide team and 2,000 backers to Pasadena. The publication was then circulated on the West Coast to promote interest in Alabama. 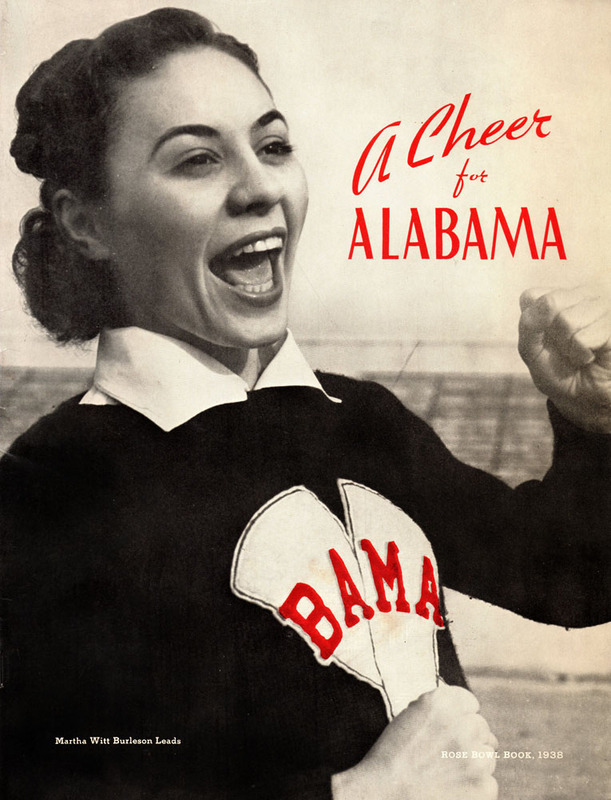 The cover of A Cheer for Alabama featured a photo of Alabama cheerleader Martha Witt Burleson who had earned a bit of national fame by the trip to the Rose Bowl. Described as an All-American Cheerleader, she was featured in a series of slightly-cheesecake photos that were circulated in newspapers nationally the weeks before the New Year's Day game under the title "No Wonder Bama Cheers."